Highest Quality Upgrades-NEW roof, siding, thermal windows, decks, HVACs, extra insulation 2 years ago! Hardwood floors throughout entire home! Kitchen – Features durable beauty w/practical convenience; stained cabinets & pantry, granite counters, tile back splash, under mount sink & stainless steel appliances! Breakfast Room – off kitchen, w/NEW light fixture! Great Room-Generous sized room w/vaulted ceiling, skylights, cozy fireplace & French doors to sunroom! Dining Room –Just off kitchen; excellent for entertaining! Formal Living Room-features sunroom addition! 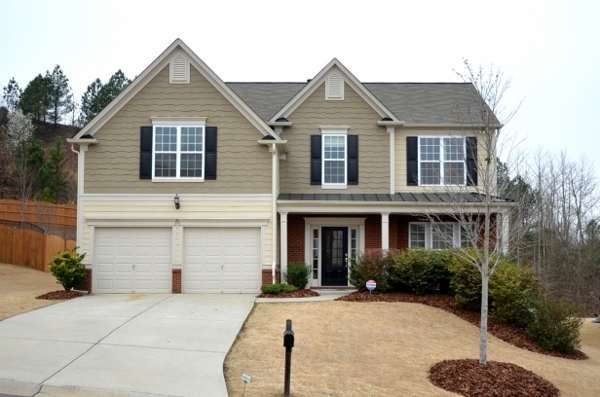 Oversized Master Suite – HUGE room vaulted ceilings, crown molding, ceiling fan & hardwood floors! Marvelous Master Bath-NEW double vanities, granite counters, under mount sinks, tile floor & shower, garden tub, recessed lighting & walk in closet! Generous Secondary Bedrooms –front bedroom has super sitting room addition; lots of possibilities for the extra space! Updated 2nd Bath- granite counters, tile floor & tub/shower! Enormous Basement-Mirrors footprint of the house! HUGE Deck-Across rear & side of the house! Overlooks the lush landscaping! The day’s troubles will disappear as you relax in nature’s realm! 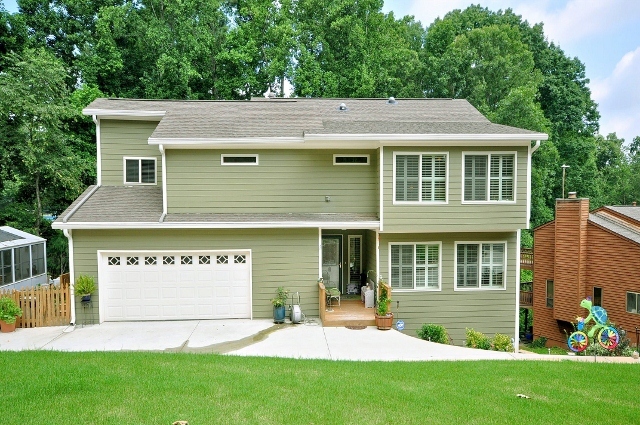 Professionally Landscaped, Fenced Yard- NEW specimen plants, lawn, steps & retaining walls! Includes irrigation system & Greenhouse! It’s your own private paradise! Great Location-Just minutes from the Historic Roswell Square, Chattahoochee River, Shopping & GA 400! How to sell your home in 5 days or less….. Ever wonder why some homes sell faster than others? A team effort between the Realtor® & the seller(s) makes a HUGE difference. Rather than going into a lengthy explanation I’d like to share a perfect example of this concept from the Atlanta Journal Constitution’s Sunday Homefinder section on June 30th. Name: Robert and Lilia Brown. Robert is a territory operations leader for YUM Brands. What it took: For a few years, the Browns had received email newsletters about the housing market from Debby Braun, a real estate agent with Keller Williams Realty-First Atlanta. “She was very tenacious. It wasn’t, ‘Hey, I want your business. It was more like, this is what’s going on with the industry,’” Robert said. He interviewed several agents, including Braun, and liked the amount of market data and feedback she provided about the home. The Browns rented a storage unit for their furniture, and Braun walked through every room, the garage and around the house making recommendations for changes (such as removing all family photos) and staging. She coached them on rooms to paint, including the pink walls in their daughters’ rooms. The Browns worked on the home for about three weeks. Outside, they fluffed up the pine straw and pine bark, pruned the bushes and added flowers in pots. “Then we put it in on the market,” he said. In the first two days, they had 10 showings. They received offers by the end of the second day and a third offer the next day, Braun said. They chose the third offer, which was the highest. The buyer was an investor willing to pay cash (eliminating the need for a worrisome appraisal) and provide $10,000 in earnest money. Potential stumbling block: About six hours before the 14-day due diligence period expired, the buyer’s agent sent over an amendment to extend the due diligence period. Before the Browns returned the signed amendment, they received a notice that the buyer wanted to terminate the contract, Braun said. They were told the investor was still interested in purchasing the property for $9,000 less than the original offer, which the Browns did not want to accept. The due diligence period had expired and no extension was granted. A dispute arose over whether the buyer was entitled to a refund of the earnest money, Braun said. The sale didn’t appear to be going through, so the home was active again, and another offer came in. While they were negotiating, the original buyer decided to proceed with the purchase at the agreed-upon price under the original contract. They closed on the home in May. A Realtor® like me, who offers concierge quality service can offer tips, suggestions and pricing guidance. However, it takes awesome clients like the Browns to make it happen. They were rewarded for their hard work and extra effort by a quick sale within $1000 of full price. If you or someone you know is considering selling a home contact me TODAY to learn how YOU can achieve the same results. • There’s a 1-in-6 chance the beef on your backyard grill came from Texas. The Lone Star State is the leader in the production of cattle and calves. • The chicken on your barbecue grill probably came from one of the top broiler-producing states: Georgia, Arkansas, Alabama, North Carolina and Mississippi. • The lettuce in your salad or on your hamburger probably was grown in California, which accounts for nearly three-quarters of USA lettuce production. • Fresh tomatoes in your salad most likely came from Florida or California, which, combined, produced more than two-thirds of U.S. tomatoes. The ketchup on your hamburger or hot dog probably came from California, which accounts for 95 percent of processed tomato production. • As to potato salad or potato chips or fries, Idaho and Washington produces about one-half of the nation’s spuds. • For dessert, six states — California, Florida, Texas, Georgia, Arizona and Indiana — combined to produce about 80 percent of watermelons last year. • And the apples in your apple pie? They most likely came from Washington or New York, the two top apple producing states.